LG runs the habit of pre-announcing devices ahead of their official unveiling, and that's the case now with the new LG G Pad II 10.1. 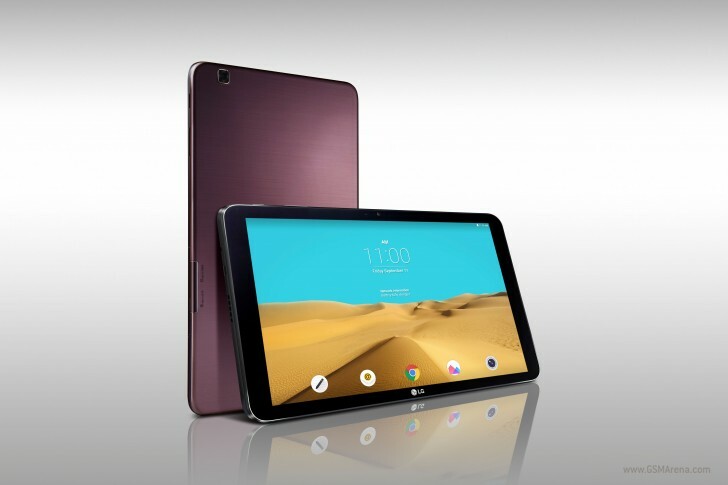 Due to be showcased at IFA in Berlin in two weeks, the tablet brings some genuine improvements over the predecessor, unlike the recent G Pad II 8.0. The chipset inside is the two year-old flagship-grade Snapdragon 800, but aging as it is, it's miles ahead of the S400 in the original G Pad 10.1. RAM has been doubled and is now 2GB, while internal storage remains at 16GB, expandable via microSD. The display sticks to the same diagonal, but gets a boost in resolution to WUXGA (or 1,920 x 1,200 pixels for the initialism-challenged), which results in the acceptable 224ppi density. The other headline feature is the 7,400mAh battery, which LG says "will keep you entertained for hours on end". The ample battery is actually a downgrade, though, as the old model had an 8,000mAh cell inside. The innards are packed in a more serious-looking shell now, measuring 254.3 x 161.1 x 7.8mm - more than a millimeter thinner than the predecessor and with a few mm trimmed off the footprint. It's also some 34g lighter. The LTE enabled tablet will boot Android 5.1.1 upon launch and will come with Microsoft Office pre-installed. An additional 100GB of OneDrive for 2 years will be your third storage option. LG has promised to detail the price and availability at IFA in the beginning of next month. LG so 2013... LG fans probably wait till 2017 for Snapdragon 8x0?